Managing Touchpoints has become one of the most important task for startups and brands with the evolution of internet. Consumer has umpteen number of options to connect with brands. This situation is forcing Startups and Brands to become agile to ensure flawless and delightful customer experience. Therefore it has become imperative for brands and retailers to better align their business operating models with consumer expectations and become adapt at managing touchpoints with consumer (when they want, where they want). Brands can no longer rent out their web presence to traders/distributors or sellers (who have no stake in brands future) and are interested only in making quick buck. At BrandLoom Consulting we believe in the power of Agile & connected Brands – we call such evolved brands, AnyWhere Brands. AnyWhere Brands are master of managing touchpoints with its stakeholders (consumers, channel partners, society, shareholders and Government). They connect with stakeholders with the same intensity wherever they are and whenever they want. We define AnyWhere Brands as those which ensure consistent, high quality and unique customer experience regardless of how and where a customer chooses to interact with the brand or organisation, and no matter the purpose. Such brands consider consumer interaction to be continuous and managing touchpoints as their most important business process. Touchpoints are all of the physical, informational, and human interactions our audiences–members, staff members, suppliers/vendors, management/investors, partners, prospective members, educators, media–experience during their relationship life cycle with our brand or organisation. The concept of a brand touchpoint is key to understanding and managing the brand experience and its impact on memories and perceptions of stakeholders. Touchpoints Are Key to Building a Strong Brand. Customers experiences your brand in numerous ways: products, packaging, price, marketing, sales personnel, etc. Each of these contacts or touchpoints influences the customer’s impression of the brand. Some of these touchpoints are obvious, like product performance, and one-on-one customer interactions. Other touchpoints, such as the product manual, brand website, eCommerce stores, monthly statements or post-sales support, may be subtler in their brand effects. 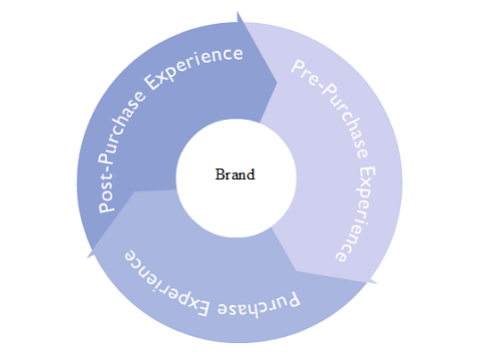 In general, brand touchpoints fall into three distinct customer-experience segments: pre-purchase experience, purchase experience and post-purchase experience touchpoints. Let’s define each. These brand touchpoints influence whether customers or future customers will consider purchasing your brand. Typical pre-purchase experience touchpoints for companies include advertising, browsing through web to gather info, emails, display ad, SERPs, direct mail, samples, free-standing inserts (FSIs), product review websites and the company’s Web site. Retaining current customers. Keep current customers loyal to your brand by continuing to remain relevant in their lives. Heightening brand awareness. Make prospects aware of the main differences between your brand and a close competitor’s brand. Shaping brand perceptions and expectations. Shape perceptions of prospects by helping them to understand the benefits that your brand offers vs. competitor brands. Driving brand relevance. Ensure that prospects link the benefits of your brand to important needs and wants in their lives, thereby recognizing the value your brand brings. Driving brand consideration. Steer the brand into a prospect’s consideration set. Purchase and usage experience touchpoints move a customer from only considering your brand to actually purchasing it. Typical purchase experience touchpoints eCommerce listing, brand website, product advertisements, packaging, P-O-P displays, in-store sampling, price, an influential sales rep in the store or seeing what the person next to you just bought. Instilling confidence. Maximize the value that prospects see in your offering and mitigate any doubts they may have about making the right decision. Delivering value. Make prospects understand the price-value relationship they are getting in your brand vs. other brands. At this stage, you have to instill trust in the minds of your prospects and prove beyond a reasonable doubt that your offering will be better than others. Reassure them that their purchase will deliver the value they are expecting. Post-purchase brand touchpoints are all the interactions that are leveraged after the sale to help maximize the total brand experience. The usage or consumption of the product is experienced at this stage as well. Typical post-purchase experience touchpoints include product and package performance, customer service, customer satisfaction surveys, loyalty programs, loyalty coupons, brand website, product review websites and newsletters. Delivering on your brand promise. Meet or exceed customer performance and usage expectations. This includes delivering brand value above and beyond expectations as well as seeking new ways to delight customers. Increasing brand loyalty and advocacy Good customers not only look to your brand for repeat and future purchases, but they also endorse and recommend your brand to others. Of the three brand touchpoints, the post-purchase experience is the most under-leveraged, yet offers potentially powerful ways to drive sustainable and profitable growth to the company. Brands creates expectations. They define who you are, how you operate, and how you’re different from your competitors. In essence, your brand is a promise – a promise that must be kept. If the brand is a promise you make, then the customer experience is the fulfillment of that promise. The customer experience can’t be left to chance. It should be actively designed and controlled in a manner that enhances your brand image. It must consistently reinforce the brand promise across every customer touchpoint or the value of the brand itself is at risk. Identify customer touchpoints: Each individual step in your business process contains a number of touchpoints when the customer comes in contact with your brand. Your ultimate goal is to have each touchpoint reinforce and fulfill your marketplace promise. Walk through your commercial processes. How do you generate customer demand? How are products sold? How do your customers use your products? How do you provide after-sales support? This comprehensive trace of your marketing, selling, and servicing processes allows you to create a simple touchpoint map that defines your customers’ experiences with your brand. 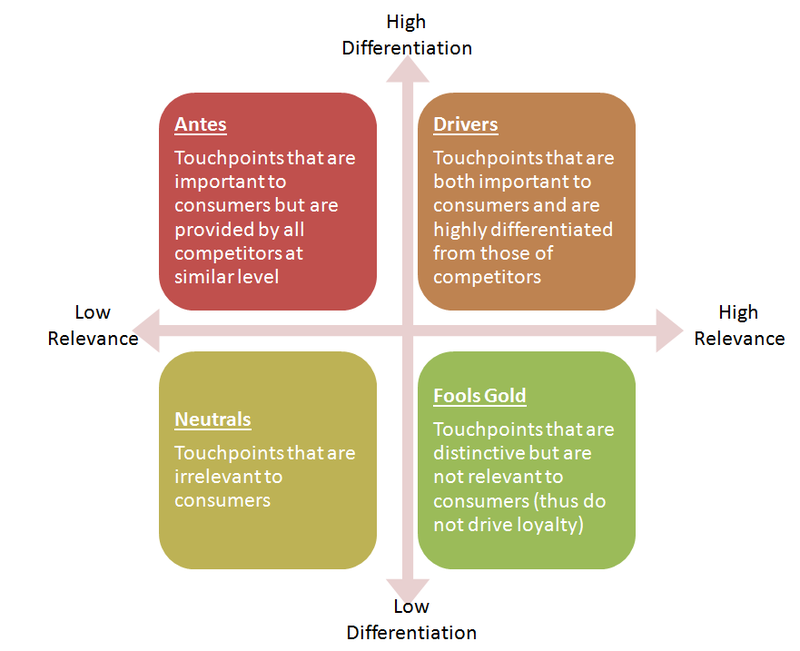 Determine the most influential touchpoints: All touchpoints are not created equal. Some will naturally play a larger role in determining your company’s overall customer experience. For example, if your product is ice cream, taste is typically more important than package design. Both are touchpoints, but each has a different effect on our customers’ experiences as a whole. To determine the touchpoints driving your customers’ overall experience, your organization can use a wide array of techniques ranging from quantitative research to institutional knowledge. The methods you use will depend on the complexity of your products, commercial processes, and your existing knowledge base. Determine how to express each reason-to-believe at each key touchpoint: For example, how can you reinforce sporty performance (a reason-to-believe) in product design, at the dealership, and in marketing campaigns (the influential touchpoints)? Align the organization to consistently deliver the optimal experience: A holistic approach to aligning your organization to consistently deliver the optimal experience is essential. Identify the people, processes, and tools that drive each key touchpoint. Look beyond employees that have direct contact with your customers. The impacts of behind-the-scenes employees are less obvious but no less important. Similarly, the impact of workflow processes and tools (i.e. technology systems) on the customer experience may be less intuitive but crucial to consistent delivery. Identify which activities don’t align with your envisioned customer experience. Determine how to address them so that these components can be brought into alignment. Define Business Impact and resources: Every product or service you bring to market yields a customer experience. Is it the experience you intend? Does that experience fulfill the promise you’ve made to the marketplace? By identifying the people, processes, and tools that drive your customer experience, you can actively design and control your own, unique, optimized experience. The brand promise you make to the marketplace will be kept day in and day out across every key customer touchpoint, building a strong brand. Develop key action steps: It’s all of the different ways that your brand interacts with and makes an impression on customers, employees and other stakeholders. Every action, tactic and strategy your brand has with customers or stakeholders, whether it is through advertising, a merchandising display or a customer-service call, is a brand touchpoint.